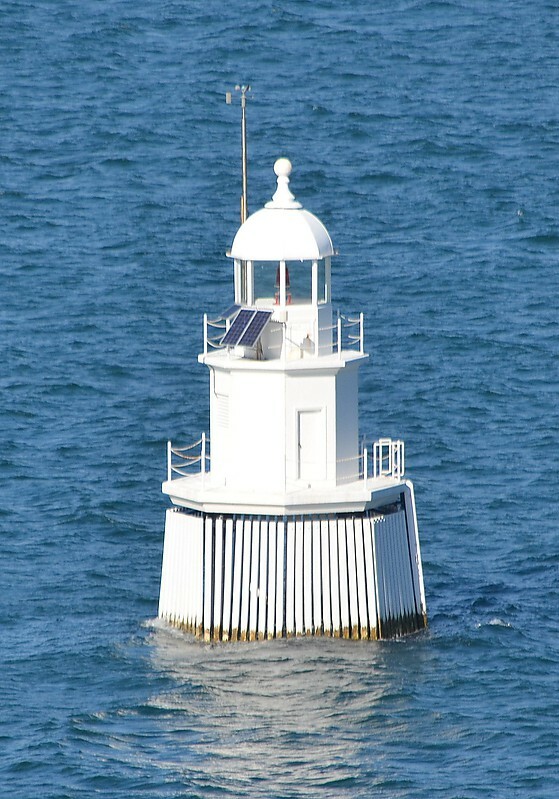 Western Channel Pile Light, also known as the West Wedding Cake due to its shape, is an active pile lighthouse located at the Sydney Harbour, New South Wales, Australia, off Georges Head at Mosman. It marks the western end of the Sow and Pigs Shoal. It collapsed in December 2006 and was reconstructed and restored to operation in December 2008.